This week, it was the turn of the Environmental Protection Agency (EPA) and the U.S. Army Corps of Engineers to expand government reach by jointly issuing a new clean water regulation. Known as the “Waters of the U.S. United States,” the new regulation aims to protect drinking water by expanding regulatory control to upstream waterways, such streams and wetlands that drain into larger bodies of water like lakes and rivers. The larger water bodies serve as a source for drinking water. According to the EPA, the new rule targets 60% of the smaller bodies of water such as streams that were previously unregulated. Similar to EPA’s attack on coal-fired power plants where the agency created its Clean Power Plant Rule from manipulation of the Clean Air Act, the EPA has finalized the new water rule by its regulatory twisting of the Clean Water Act. In both cases, the new regulations are not based on new laws from Congress to address the underlying environmental issues. 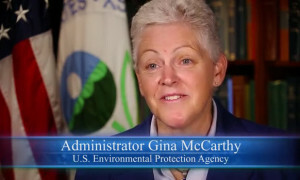 In classic style, the EPA adopted the progressive strategy of “you never let a serious crisis go to waste” and seized on Supreme Court decisions regarding the Clean Water Act, including vague language in a 2006 ruling by the Supreme Court that failed to limit agency power allowing the EPA to regulate waters close proximity to navigable water on a case by case basis. EPA has other "water" regs which clearly overreach. As many restaurants/bars are finding out, EPA has forced ALL municipalities to develop programs for addressing FOG (food/grease). Incompetent/lazy local regulatory authorities, typically this is translate this regulation as a mandate for expensive grease traps (under sink won't cut it).